While the quote above may hold true for life's deepest questions, it's not particularly helpful when running a business. 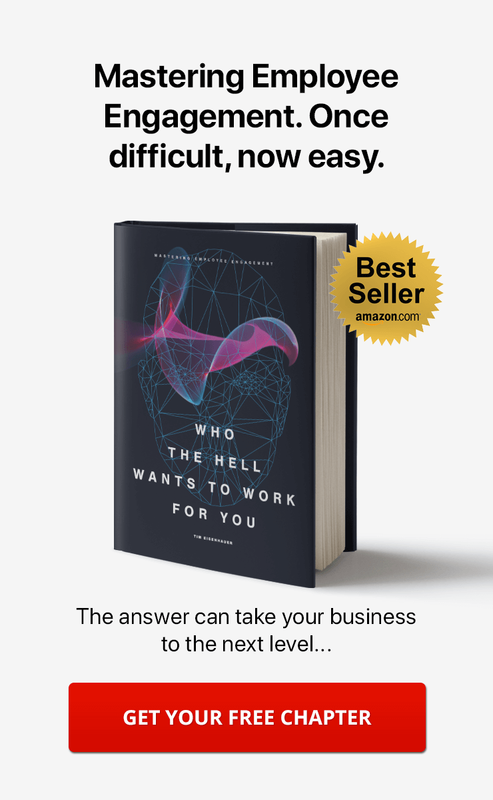 Beyond desks and computers, and perhaps inventory, a business's value is the collective sum of the knowledge held by the people who work there. In every organization, regardless of the size, information is created, captured, shared, and modified. Eventually this information becomes a commodity. Acquiring this information represents a material gain. Information becomes intellectual capital. And that capital can only reach its full potential when it's made available for the next task, process, project, or product you are are working on. This requires recording and storing information in a cohesive way. Knowledge management is a set of processes that govern the creation, distribution, and utilization of human intellect. In the face of communication and data overload, it is important for making decisions, building your business, and cultivating a strong company culture. Knowledge is not valuable in and of itself. It does not exist in a void. It's like that whole "tree falling in the forest" question. Whether or not it fell is irrelevant because nobody knows the answer. Information becomes valuable when it is communicated -- and yet, research shows that communication remains a major challenge for a majority of organizations. What kind of research? 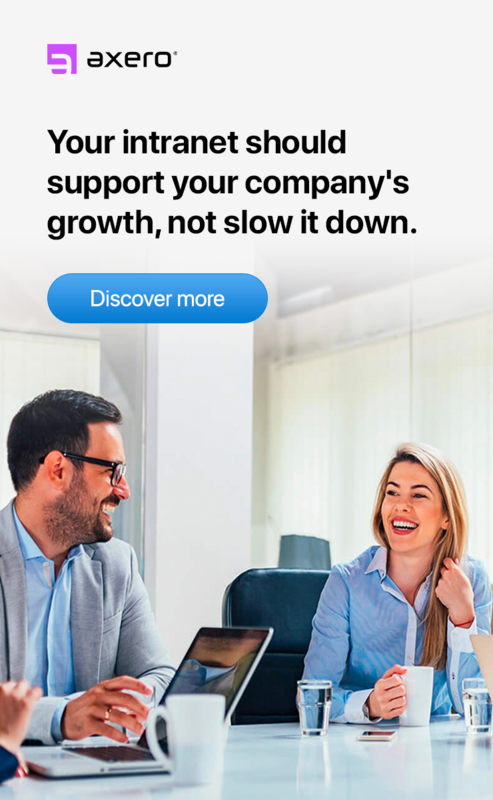 According to a study by SIS International Research, 70% of small to mid-size businesses cite ineffective communication as their primary problem. A business with 100 employees spends an average downtime of 17 hours per week clarifying communication. This translates to an approximate cost of $530,000 a year. In another study, Fierce, Inc. found that 86% of employees and executives cite lack of collaboration or ineffective communication for workplace failures. Businesses lose tens of billions of dollars a year by failing to share knowledge. Here’s how you can use knowledge management in your business. The first thing to consider is how knowledge flows through your organization. No matter the size or sector, knowledge flows through existing paths. These paths must be traced in order to identify information source points, critical functions that lead to knowledge creation, and risky bottlenecks that impede the information flow to the point of use. You need to create a map, or delegate a knowledge manager to create one. This provides a blueprint from which to make changes and improvements. For example, if a goldmine of information is held in a Wiki that no-one visits, then it is time to explore ways to make it more accessible. Maybe that information is relocated someplace else. Maybe the Wiki is not advertised prominently enough. Maybe the login process is laborious and a more streamlined access point is needed. Whatever the case, effective knowledge management starts with an accurate and nuanced understanding of the way information of various types is communicated throughout your business. By tapping into these pathways of social interaction, an enterprise can focus on creating, storing, updating, and distributing knowledge or intellectual capital, not only at work, but also in the marketplace. Knowledge management differs from company to company. No small business or organization is the same, and thus does not have the same knowledge management needs. Even two separate organizations operating under the same domain may need separate knowledge management systems (KMS). Why? Because each entity operates with a distinct set of environmental factors that lead to unique information sources and modes of capturing that information, as well as varying preferences in methods of distributing it. For example, a small food company may have sales representatives who are constantly on the road selling products and servicing regional stores. With so many people working out of the office and on-the-go, the ability to communicate constantly and seamlessly becomes essential. 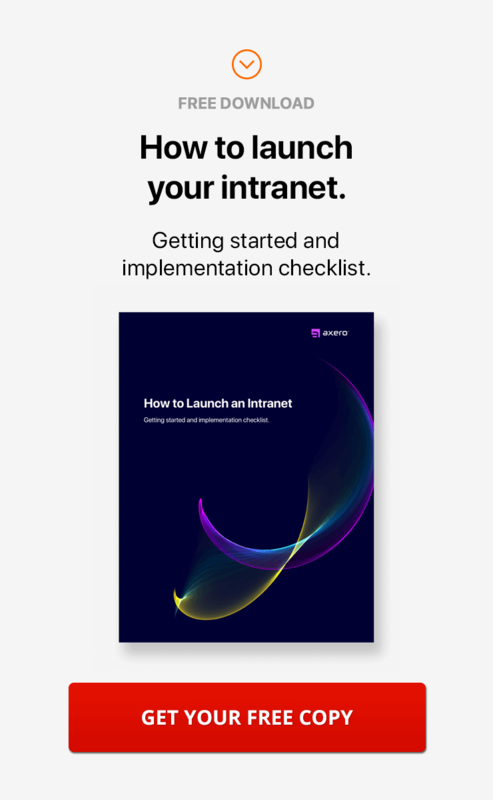 The reps need to access critical information from the field, whether its marketing materials or an update on an order, and keep their managers apprised of what's going on. Managers need to know what's going on so they can provide support and communicate sales numbers up the chain. For a distributed organization, cohesive communication is imperative for maintaining company culture and driving engagement. Or take the case of a nonprofit organization that relies on the strength of its community of supporters to survive. The organization's capacity to communicate between directors and members, attract new members, activate existing ones, and organize around issues is key. Maybe the organization is working to stimulate conversation around bullying in schools or encourage its members to write their Congressional Representatives about an environmental bill. These organizations need tools that inspire their members to share news and information, self-organize, and collaborate on projects. Whether you are a small business or a non-profit organization, all this information turns into useless chaos unless it is organized. That is where knowledge management systems come into play. The ideal knowledge management software is one that provides a variety of tools to choose from and allows for easy customization to suit an organization's specific process needs. Finally, an added "must" is simple, but effective content moderation and permissioning modules. Knowledge management is becoming more and more important for small businesses to stay competitive. Even though knowledge management has been a recognized field for a long time, its star is on the rise. Even PMI, the world's leading professional association for project management, is considering including knowledge management as the tenth knowledge area to it's existing body of project management practices. 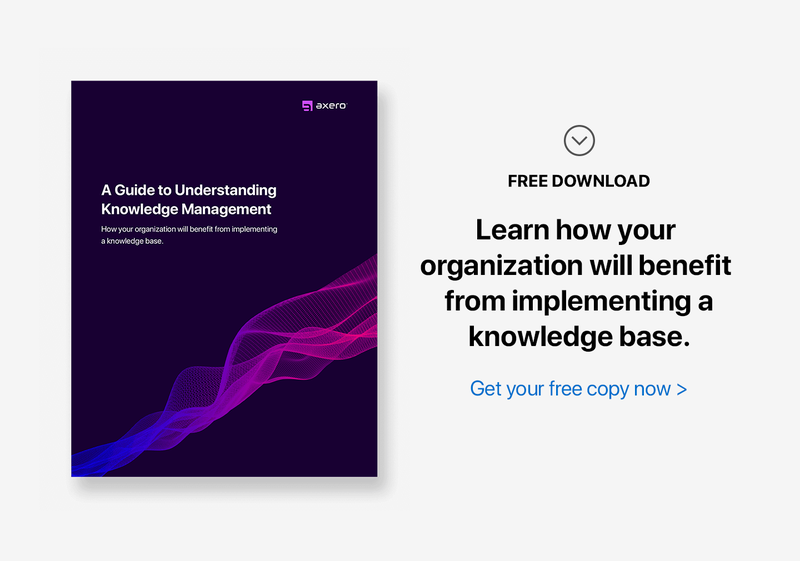 These practices are gaining momentum as more and more companies recognize the dramatic impact that good knowledge management can have on their businesses. In addition, distributed workforces are on the rise, which means more organizations than ever need to enable their teams to work and collaborate from multiple geographical locations. Processes, projects, and products are constantly evolving to be better and better, because to stagnate in today's world is to quickly be made obsolete. Progress is unstoppable. Progress is made through vibrant exchanges of ideas and collaborative environments that spark innovation. As such, the trend in knowledge management is leaning more and more towards "social knowledge management," meaning that knowledge is not only circulated within an an organization, but also among its customers and out in the marketplace, so determining what is relevant or valuable becomes a collective effort. In the article, Social Media versus Knowledge Management in the Harvard Business Review, the author points out that knowledge must flow freely in an organization to get the best value from people collectively with "good ideas floating to the top" and growing the organization for the long term. Great ideas emerge on social media, and knowledge management is the only way of saving information and using it to feed into this evolution. Communifire provides a highly customizable, simple to use, permission based platform that can satisfy any small business or organization's need for a knowledge management system. Knowledge managers can select from Forums, Wiki, Blogs, Articles, File Sharing, Videos, Spaces (Sub-communities), and Photos, as tools for knowledge capturing and sharing. They can leverage functionalities like User Roles, Content Moderation, and Workflows to monitor content quality. Additionally, "Points" and "Badges" create a reward system for employees actively contributing towards knowledge creation and management. With its roots in web 2.0 social networking and business collaboration principles, Communifire is a definite answer to the need of a good knowledge management system, and one that derives momentum from user needs for collaboration.